In its ruling, the appeals court invalidated the U.S. Nuclear Regulatory Commission’s 2010 updates to the Waste Confidence Rule and also the Temporary Storage Rule and directed the commission to fully comply with federal law. In response, the NRC today put a hold on nine construction and operating licenses, eight license renewals, one operating license, and one early site permit. Therefore, it is possible that spent fuel will be stored at reactor sites “on a permanent basis,” the court said. “In recognition of our duties under the law, we will not issue licenses dependent upon the Waste Confidence Decision or the Temporary Storage Rule until the court’s remand is appropriately addressed,” the NRC said. The NRC’s order extends only to final license issuance. “All licensing reviews and proceedings should continue to move forward,” the agency said. The case was originally brought to the appeals court by four states led by New York State, as well as a native Indian community and several environmental groups. New York Attorney General Eric Schneiderman brought legal action against the NRC because of his concerns about Entergy’s relicensing application for two reactors at Indian Point power plant on the Hudson River at Buchanan, New York, just 24 miles north of New York City. 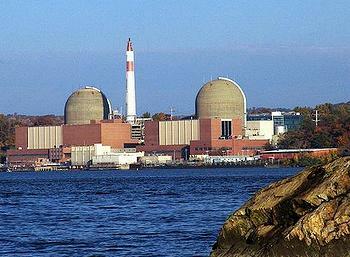 Entergy’s license to operate Indian Point expires on September 28, 2013. “In light of my recent federal appeals court victory and a related contention I filed last month in the relicensing proceeding, however, it appears that the NRC has finally changed course. Today, in a victory for the 17 million people living and working close to Indian Point, the NRC has committed to addressing the risks posed by long-term nuclear waste storage at the facility before making any relicensing decisions,” Schneiderman said. The NRC also received “a series of petitions” on this matter, including one filed June 18 by 24 groups from across the United States urging the agency to respond to the court ruling by halting final licensing decisions until it has completed a rulemaking on the environmental impacts of spent nuclear fuel. “Important though the court decision is in modifying the NRC’s historic push-the-power-plants-but-postpone-the-problems approach to generic safety and environmental issues, it cannot be blamed for ongoing descent into fiasco of the bubble once known as ‘the nuclear renaissance,’” said Bradford, who now teaches law at Vermont Law School and serves as vice-chair of the Union of Concerned Scientists.